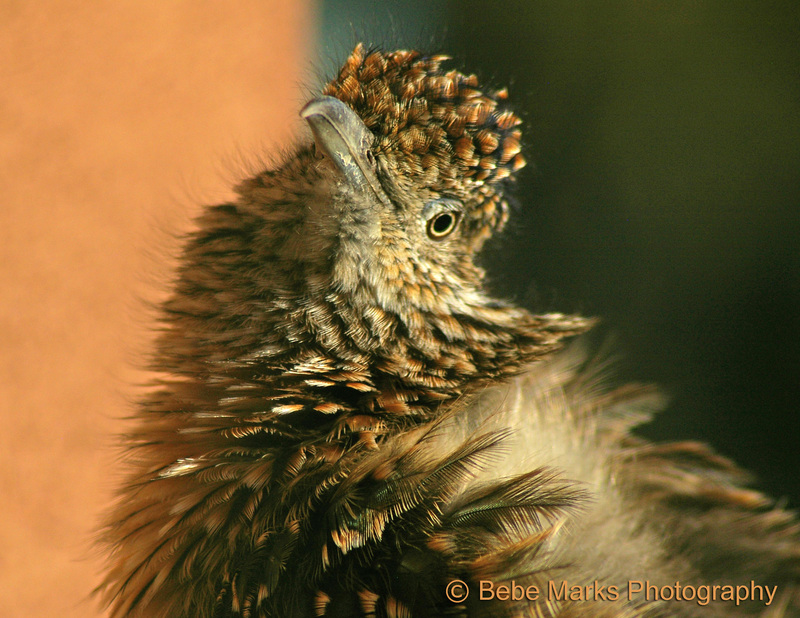 Greater roadrunner (Geococcyx californianus); the official state bird of New Mexico. Photo © Bebe Marks Landscape & Wildlife Photography (all rights reserved; used by permission). Greater roadrunner (Geococcyx californianus); Photo by [file:field-file-photographer]/[file:field-file-source] ([file:field-file-license]). 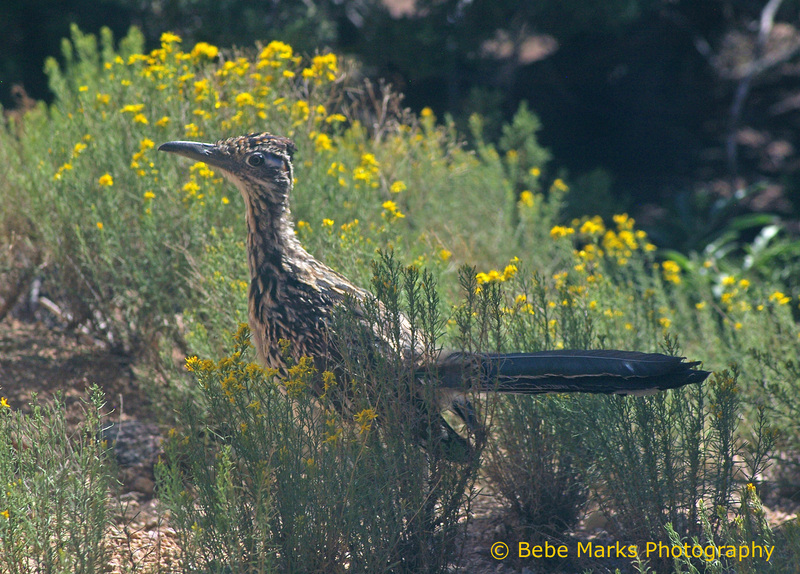 Also called the chaparral bird, el correcaminos, and el paisano, the iconic roadrunner inhabits desert and shrubby country in the southwestern United States and northern Mexico. Although a roadrunner is capable of flight, it spends most of the time on the ground, running at speeds of 15 miles per hour (or more) to catch its prey (insects, small reptiles, rodents, tarantulas, scorpions and small birds). 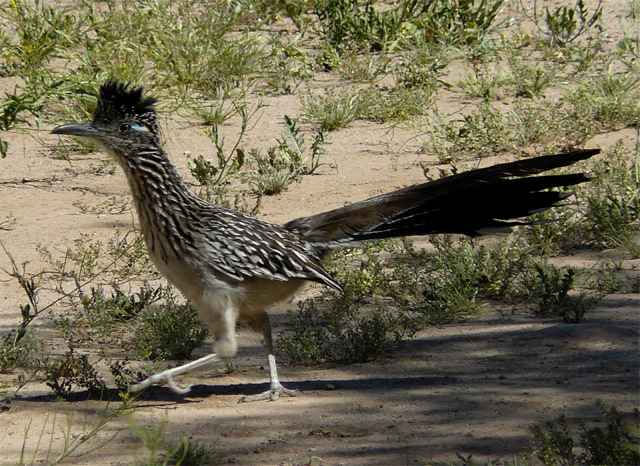 The Hopi and Pueblo Indian tribes believed that the roadrunner provided protection against evil spirits. 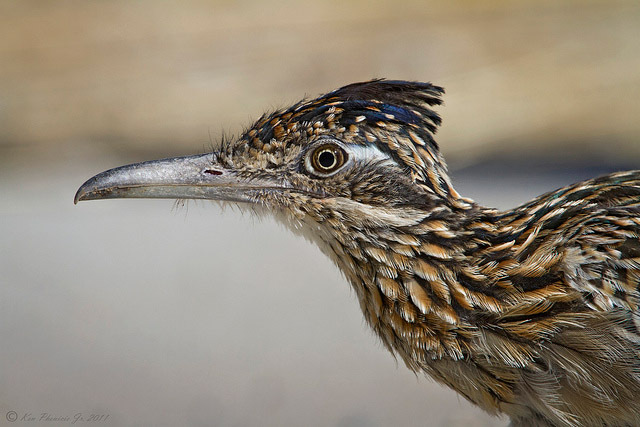 Greater roadrunner (Geococcyx californianus) : photo by by Ken Phenicie Jr. on Flickr (noncommercial use permitted with attribution / share alike). Greater roadrunner. Photo © Bebe Marks Landscape & Wildlife Photography (all rights reserved; used by permission). 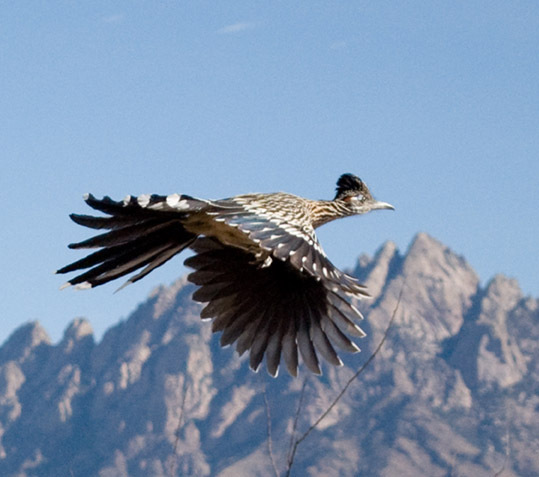 Roadrunner in flight; photo by Frank Carey on Flickr (noncommercial use permitted with attribution / share alike). Greater roadrunner (Geococcyx californianus); photo by Joyce cory on Flickr (use permitted with attribution).